We had Christmas on January 4 with all of my kids. We have to be a bit flexible since the older kids have families and in~laws and all of that jazz. It was such a blast, but I was bummed I didn’t have time to take pictures of all of the deelish food that we served. I was bummed because I knew you would love the simplicity of the recipes and how beautiful the meal turned out for 15 adults and 6 children. I did get a chance to snap these yummy Garlic Roasted Red Potatoes just before I popped them into the oven. So not the most exciting pictures…but oh they were good, everyone raved. 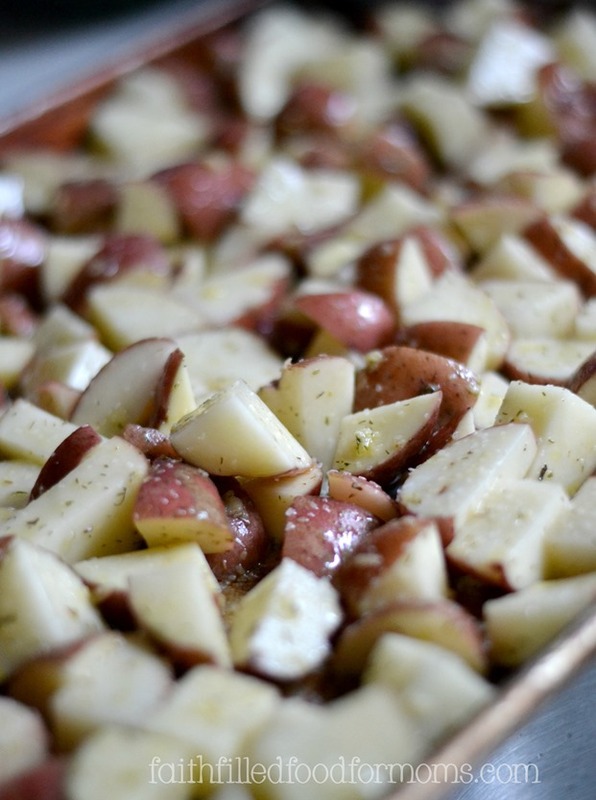 Potatoes are such a budget friendly side dish! Chop all of the potatoes evenly in size, this way they cook evenly. Roast at 425 degrees until beginning to Golden Brown. About 20~25 min. That’s it! Gobble up and Enjoy! O my word girl these looks so so good. I have been trying to eat less carbs but this o my I gotta try out! I’ll add garlic to jus about anything! Your potatoes look amazing. Found your recipe at the Thrifty Thursday Link Party. I am the hostesses of Tickle My Tastebuds and would love you to stop by and link up this recipe. I don’t blame you at all for not having too many pictures. You were doing what was important–spending time with your family! 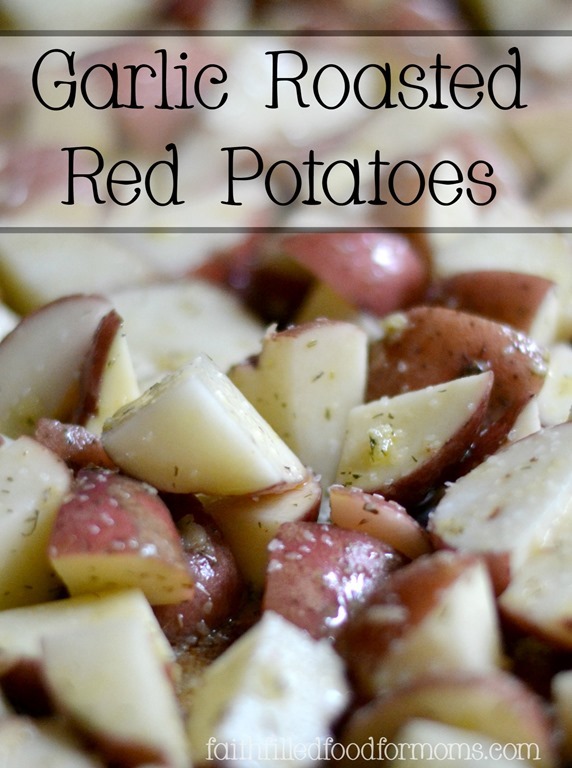 These potatoes look so delicious and couldn’t be easier to make. Pinning this! Mmmmm, these sound and look divine. Dill is one of my favourite seasonings for potatoes too. I love roasted potatoes, and pretty much any roasted vegetable. Never thought to use dill but will give it a try next time. Visiting from Merry Moandy! Oh my gosh… These look so delicious! I’m printing this recipe!